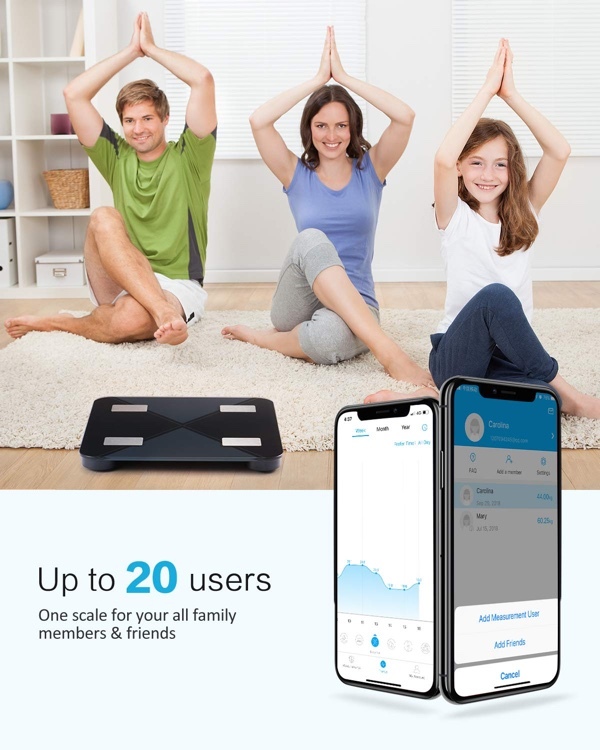 This smart body scale connects to your smartphone via Bluetooth to keep track of measurements over time. Costs only $15.59 using a special discount code. It’s January, which means that there will be a good portion of the population in the midst of a new year’s resolution to try and get into better shape. That’s always a good idea, and January is often the best time to kickstart your new healthy regime, but if you’re reading this we bet that having a tech angle will help push you in the right direction. Smart scales are a great way of keeping track of you goals and being smart, everything syncs across to your phone, too. The Mpow Bluetooth Scale is already a pretty great option for anyone wanting to get into a smart scale without spending a lot of money, and costing just $25.99 it won’t break the bank. Right now it won’t even cost that much if you enter the special discount code at checkout, with just $15 needed to get a smart scale of your very own. Being a smart scale this little slab of motif can also track your body composition, including BMI, BMR, body fat percentage, muscle percentage, and metabolic age. If all you want to know is your weight, it’s can take care of that, too. While you can indeed pair this thing with the Megafit app on both Android or iOS, there’s also a backlit LED display built into the scale, meaning you can catch a quick reading even if you don’t have your phone handy. As is standard fare with Mpow, you’ll get a two-year warranty thrown in, too. Sound like a deal you shouldn’t miss today, right? Hey Siri how fat am I? I just bought this item because it looked neat. The coupon brought the price down from $25.99 to $18.19 — a discount of $7.80. Bwahahaha. I love it. And yep I bought one. My current smart scale has a crappy app that likes to delete my log in info. Hopefully this one works well – and if not – free returns!